The Game this Thursday will be Hitmen for the first hour and then Catch the Chicken gfpr the rest of the night. Date : Thursday 1st Febuary. 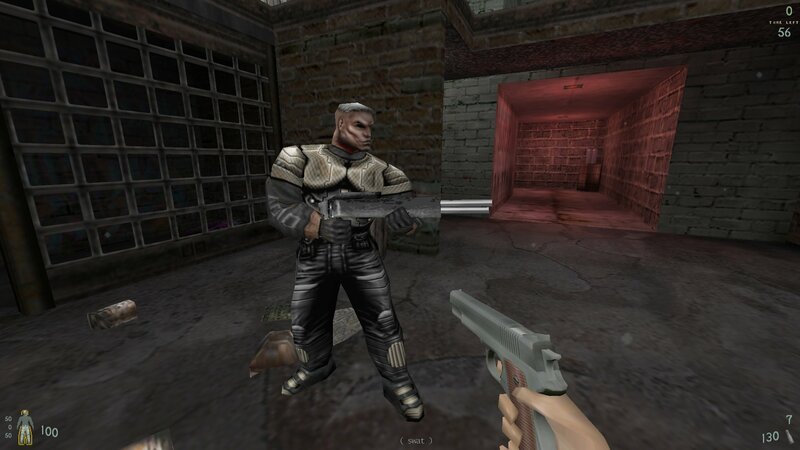 Macanah has released a new map for the Power2 mod called Defector. 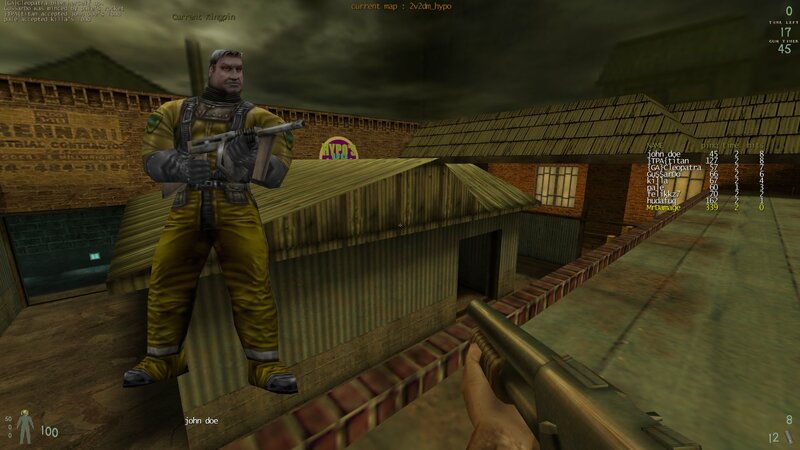 It's a conversion of his CTF Defector map. 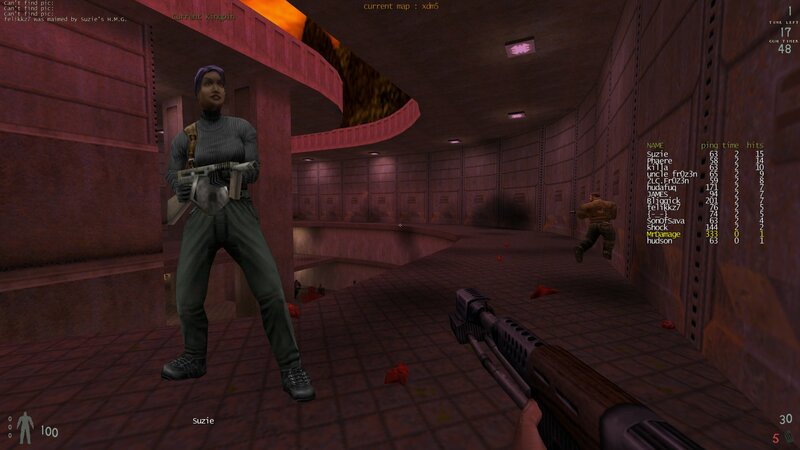 It's a medium sized, darkish, multi levelled, map where using the grappling hook (harpoon) is almost a must. You can download Power2 Defector from here. Just unzip the files to your Kingpin folder and they will be placed in the correct locations. Macanah has released an addon for the Quark Mapping Editor that adds Kingpin Power2 mod entities to Quark. This is so you can make maps for the Power2 mod using the Quark Mapping Editor. You can download the Power2 addon from here. Macanah has also produced a little video on how to install addons to Quark. Btw we host a COLORS CTF Quark addon as well here. Killa has modified the KPDM2 and KPDM3 maps to work in the Crash Mod as bombing scenario maps. They are in beta status at the moment and will be tested at this week's Thursday game of Crash. You can download the maps from here. I have re-uploaded the old King of the Streest mod files in a zipfile. This is for two reasons - elfor notified me that the kots.exe installer we hosted was corrupt and also becasue antivirus programs just hate exe files. You can download the Kots mod files from here. King of the Streets was a Bagman/Capture the Bag style mod. 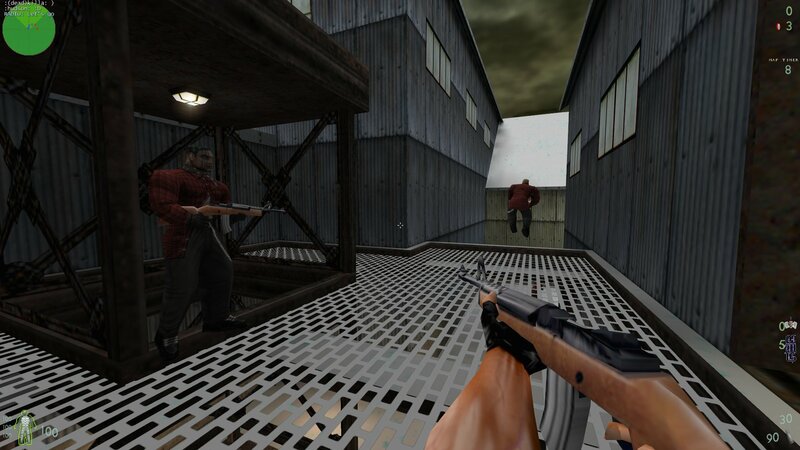 The basic objective of the game is to either steal (robbers) or recover (police) all the other teams breifcases on a map. A team wins when either all the money is collected from the other team, the other team is killed or your team is killed. 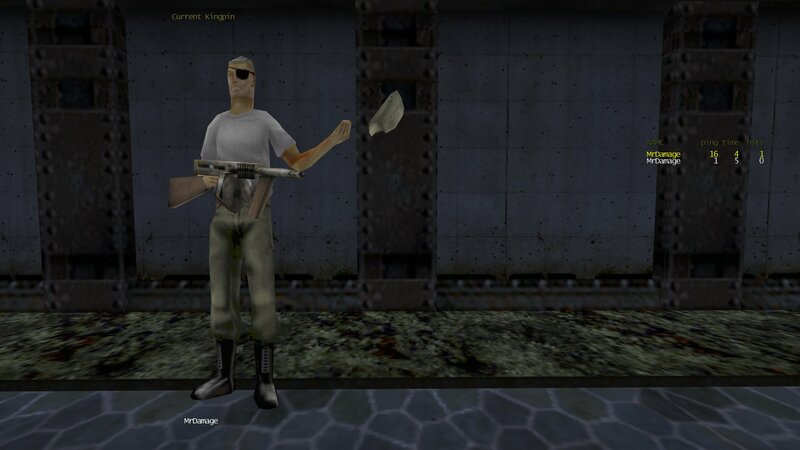 When you join the game you only have a Hatchet and a Berreta 9mm pistol. 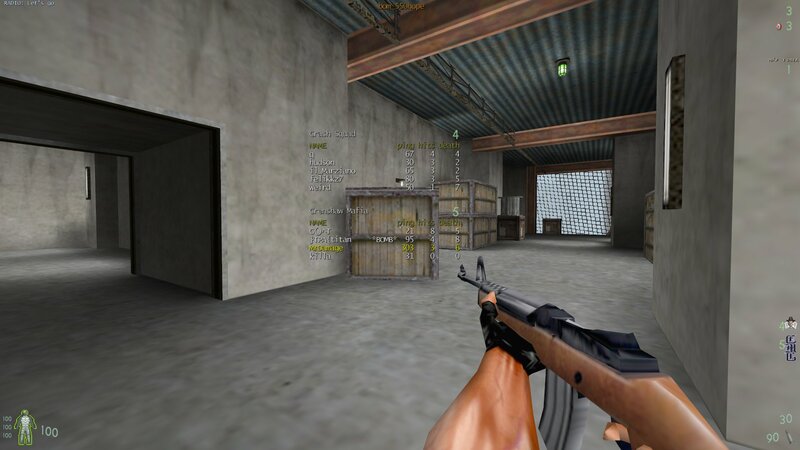 You have to buy other weapons, which are all custom weapons, such as the AK47. 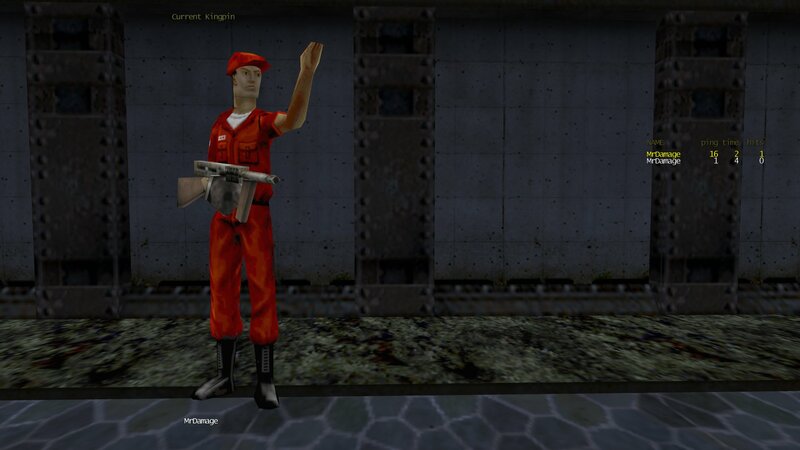 Each team has an NPC "dealer" in their base who has the task of selling you weapons/items/ammo. He also collects the money you steal/recover from the other team. If that wasn't enough he will try and kick the hell out of any intruders who try and enter your base. The default mode for the mod was Last Man Standing (where if you get fragged you have to wait for the round to end) so the rounds are only a few minutes each. To play a regular game where you respawn after being fragged you need to add the following to the server.cfg. 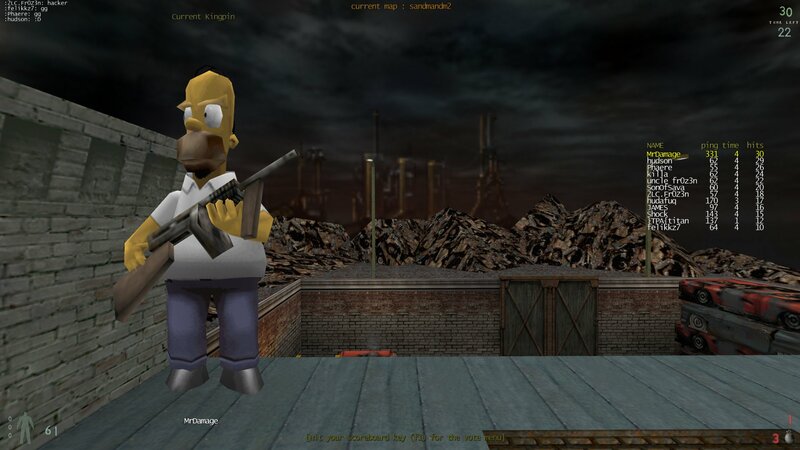 We also host the source files for this mod here. elfor has created another Kingpin Info custom console backgorund. This one uses a background image found on duke4.net. 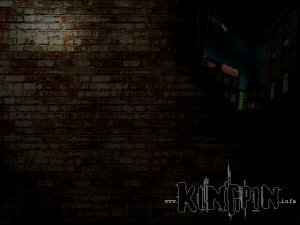 You can download the 2nd Kingpin.info console background from here. place the pak8 file in your kingpin/main folder. somewhere and rename it to another number from pak2 - pak7 which you don't already have. Then copy it to your kingpin/main folder. The Thursday game this week is going to be the Crash Squad mod. If you don't have the Crash Client files you can download the client files from the server but you can save time and download them from here. elfor has sent in some custom Kingpin icons. Hi, i was just downloading the mac version of kingpin, and noticed that it had two custom icons! So i converted them to Windows and also added the GOG custom icon. You can download the icons from here. Long before Homer there was Fred Flintsone. 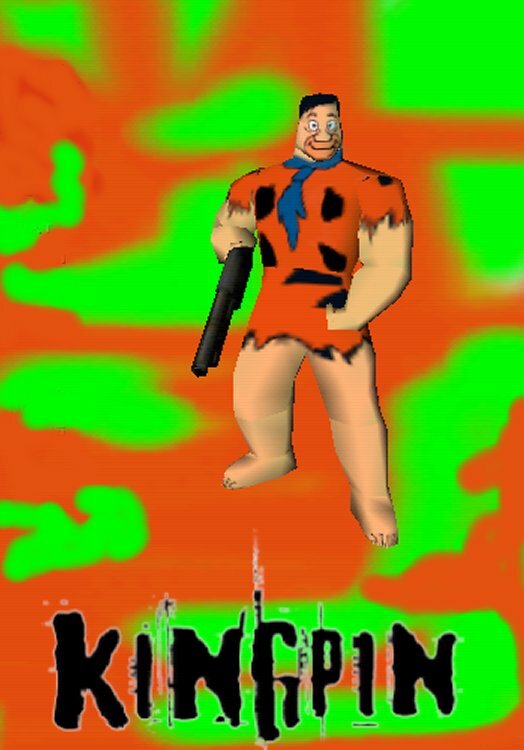 Fred was the main character from the animated prehistoric sitcom The Flinstones that was made in the 1960's. 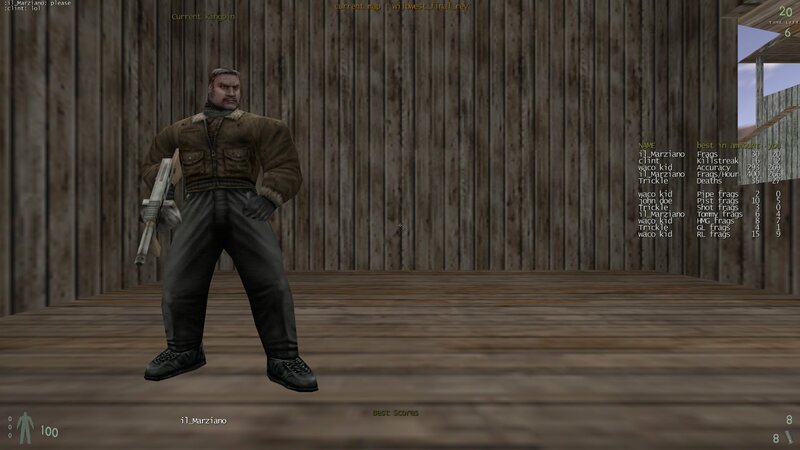 In the early days of Kingpin Speg made a Thug skin of the iconic character. You can download Fred from here. elfor has created a Kingpin Info custom console backgorund. 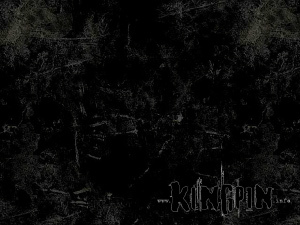 You can download the Kingpin.info console background from here. elfor has released some new custom crosshairs for Kingpin. There are five different sets of crosshairs (each set has three different crosshairs) and all sets are available in two different colours. The colours are yellow and light greenish (similar to Hud colours). 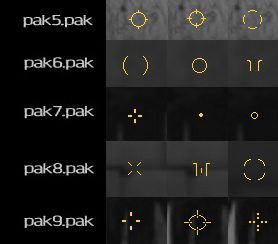 There are two screenshots included which show the different sets of crosshairs. It probably easiets to just extract/unzip the files to a temp folder somewhere and decide which set you want ot use then just copy and paste the relevant pak file to your Kingpin/main folder. Trickle has posted a video on YouTube of us playing the Misery map (sandmandm2.bsp). Remember that Killa has also made many videos of our games which you can check out here. I haven't posted about any Kingpin walkthrough videos for a while and there is a new series out. These ones are by Playback TV and are spread out over about 30 short videos. Date : Thursday 18th January. 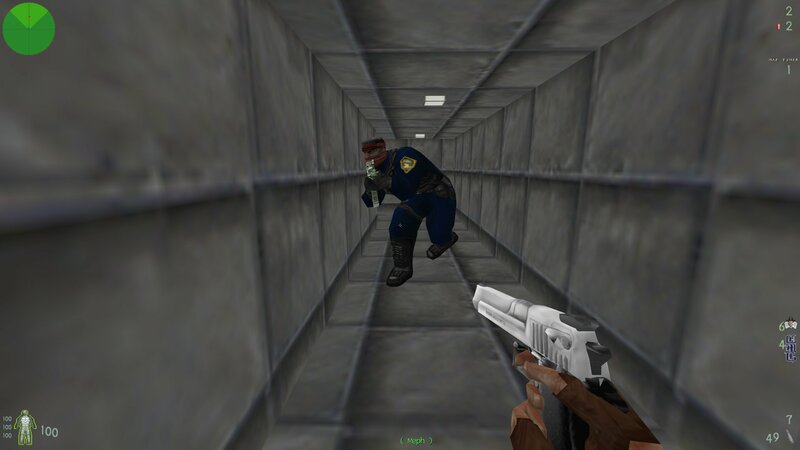 Hypov8 is now working with us on the Gunrace mod. He is working mainly on the models for the mod. Initially we were going to have a knife as the final weapon but we decided it didn't look imposing enough so changed to a machete. We are using TiCaL's old machete as the base but Hypo has done a lot of modification to it. 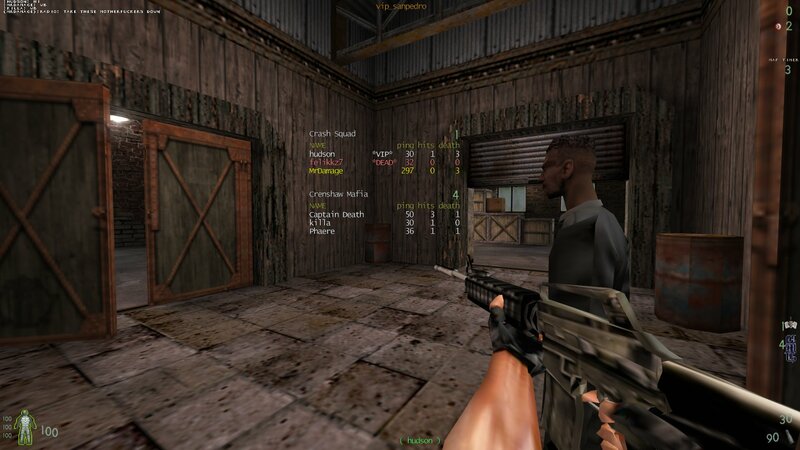 Here is a shot of the machete in the Hud. 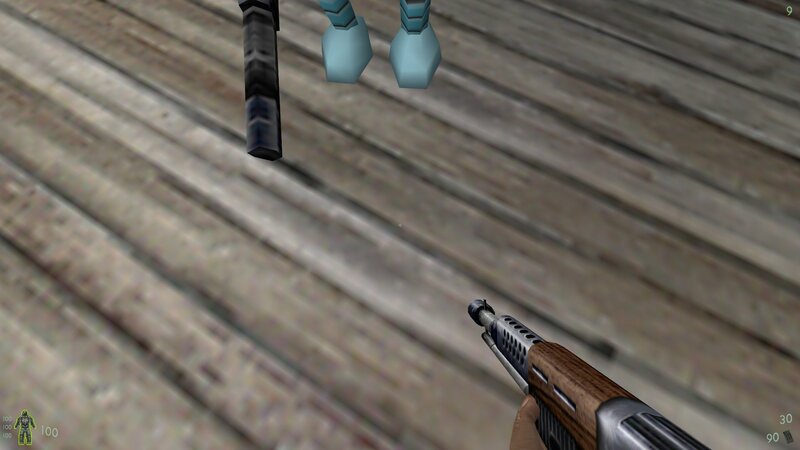 You don't see it on the other player in this screenshot as it was taken in normal Kingpin not in Gunrace. Here is the first new map for 2018. This is a normal Bagman version of the XMAS Combat map that Hypov8 and I worked on recently. 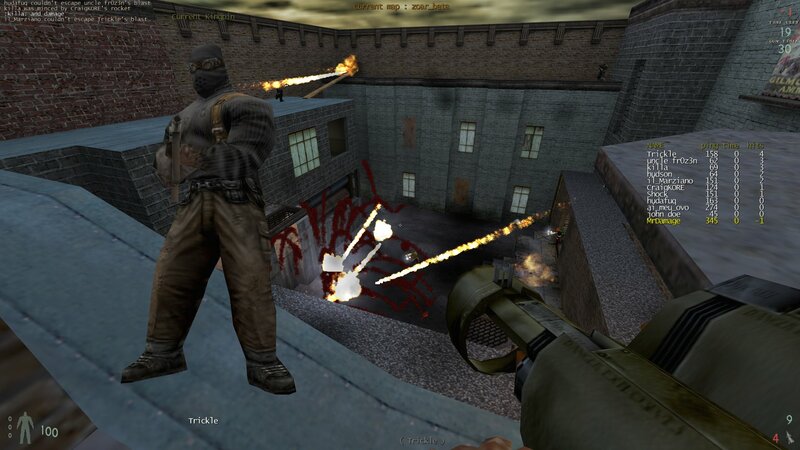 Team Combat is a smallish Bagman map set in an old war torn village. The map contains four bombed out buildings, two on either side of a river which dissects the map through the middle. There are also two army vehicles included. The money drop is on the bridge that crosses the river. The team's bases are in two of the bombed out buildings. 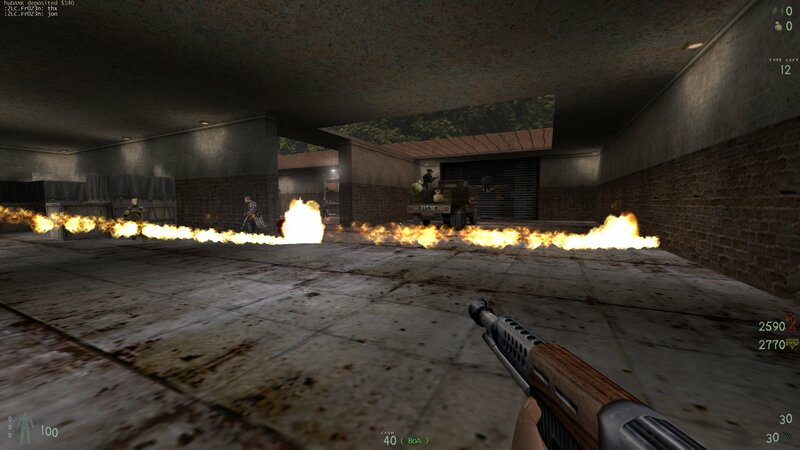 There are plenty of weapons and other items and two of the buildings contain huge radios that play two old songs. 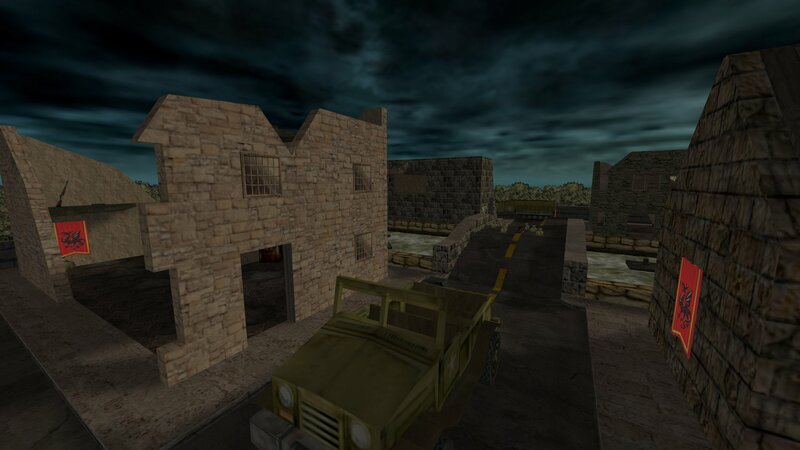 The map contains lots of custom textures and custom sounds so much quicker to download from here rather than getting it from the server. Thanks to Hypov8 for working on the lighting and sunlight in the map. 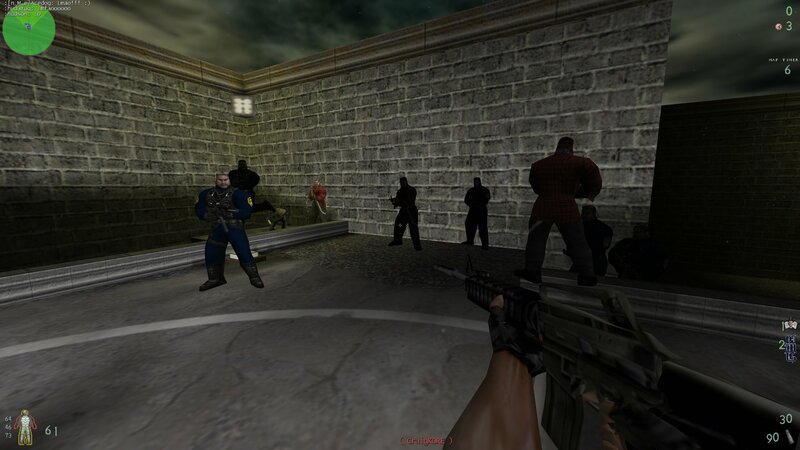 You can download Team Combat from here. Once every few months we switch the Sunday Bagman game to the USA East Coast Snitch Slappa server which si where this Sunday's game will be played. 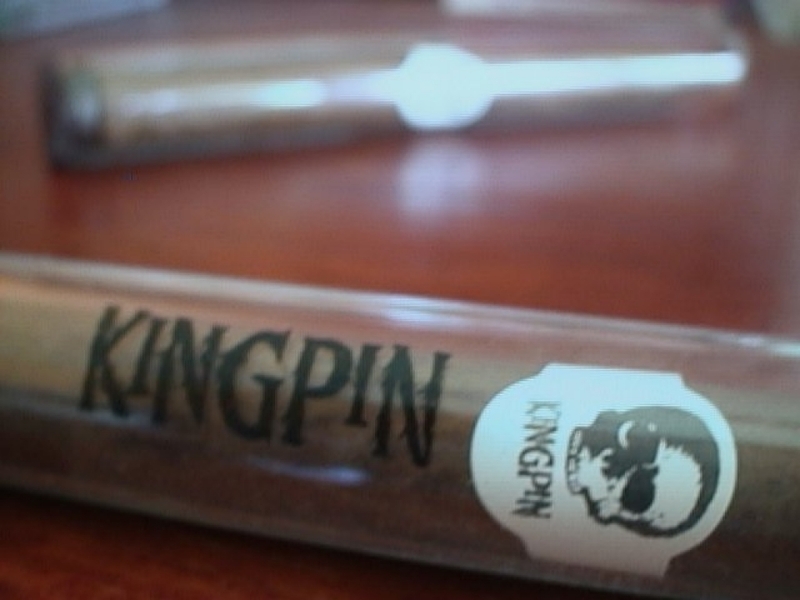 I guess they made some promotional props for Kingpin when it was released. I seem to recall seeing them being sold on ebay once but the auction was finished before I saw it. We have a new player model for Kingpin. 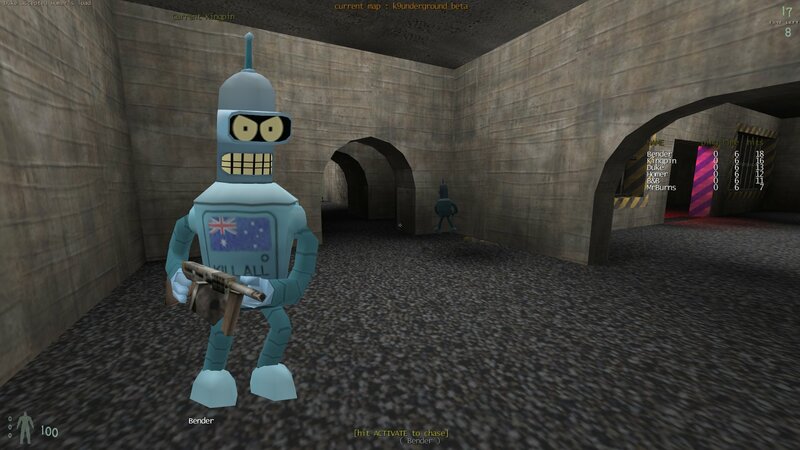 It's Bender (Bender Bending Rodríguez) the steel bending robot from Futurama. 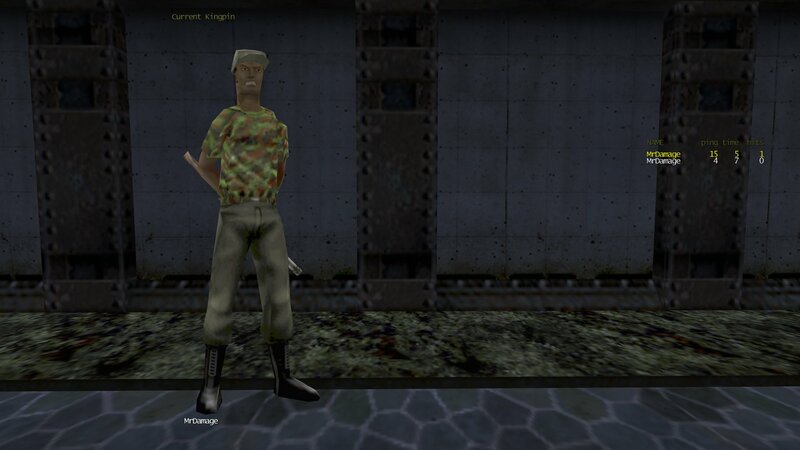 It is the first new player model released for Kingpin in well over fifteen years! 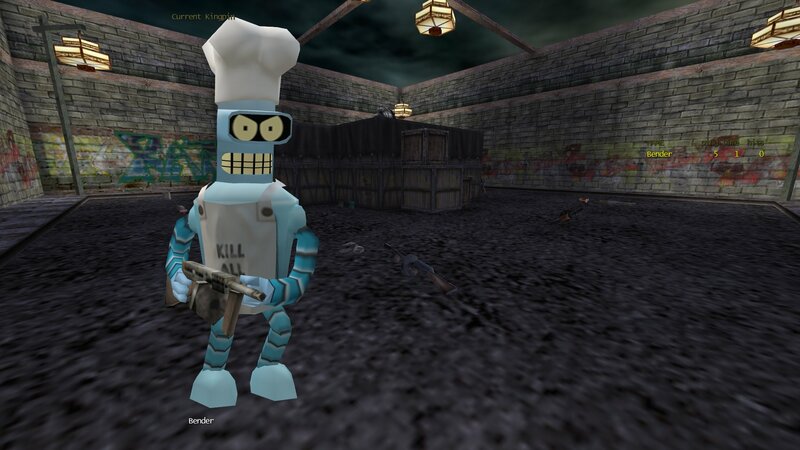 The model was converted from Quake 3 and work began way back in 2005 by Zeppelin[FnR]. Having a very busy life Zeppelin was never able to finish the model and the job went to Hypov8 to finally bring Bender to the Kingpin community. Al0 has chipped in by creating many new skins for Beder and some great addons like a cigar, his famous Chefs outfit and several other hats. I would like to thank Zeppelin, Hypov8 andd al0 for all their hard work in bringing this model to Kingpin. 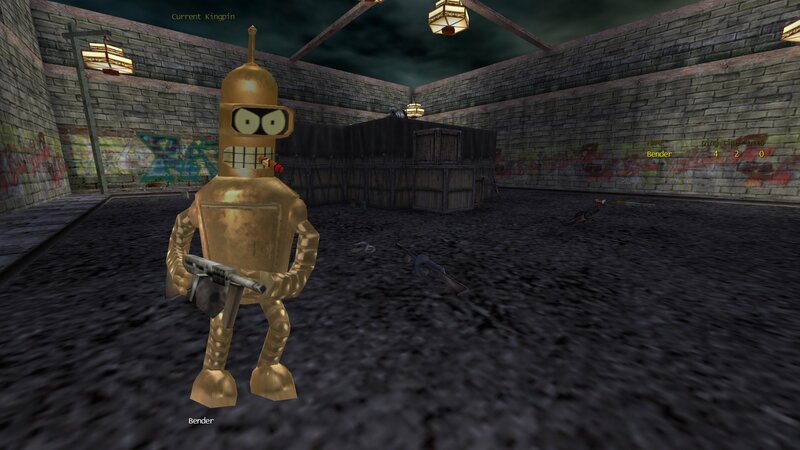 You can download the Bender model from here. 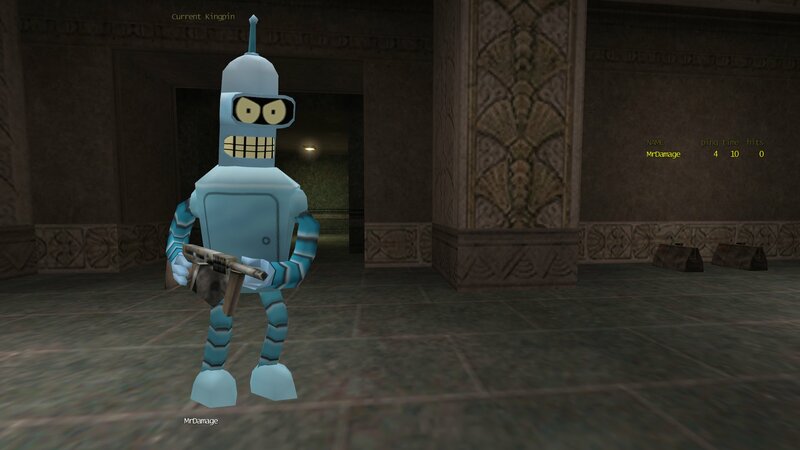 I have posted a heap more screenshots of Bender's different skins on one of Kingpin Facebook pages here. The reason being is because the game this Thursday is going to be the Crash Squad Mod and a lot of the newer players have not played this mod before and others have but not for many years. If you are not familiar with the Crash mod there is a comprensive mod overview here. The Thursday game thsi week will be the Crash Squad mod. If you haven't played the mod before you can download the client files from the server but if you want to get them beforehand you can download them from here. Another big crowd and a long games over three & half hours. 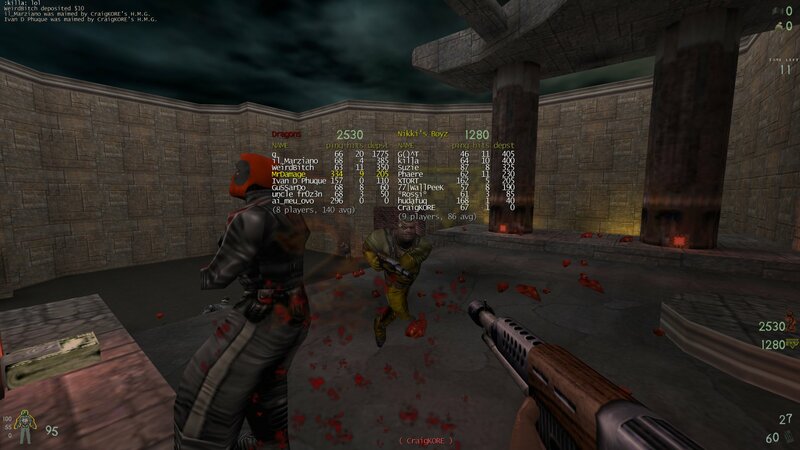 Captain Death has now released v1.3 of the Power 2 mod server files for both Windows and linux. You can download the v1.3 Power 2 Server files from here. 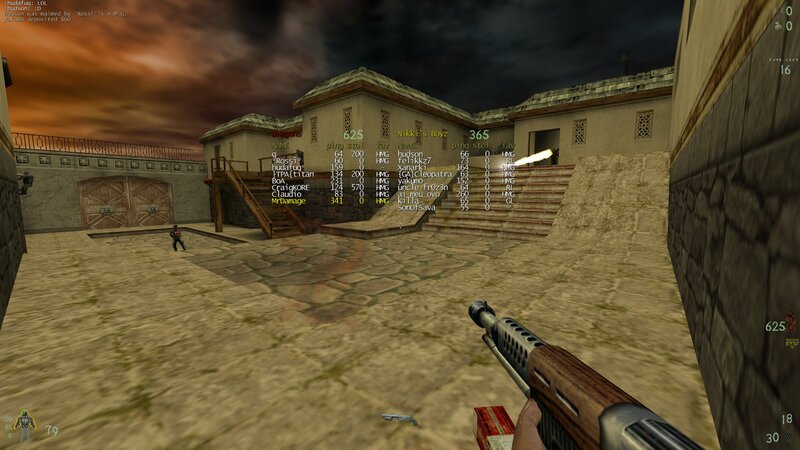 To run a server you also need the Power 2 client files which contain all the Power 2 maps. You can download the Power 2 Client files from here. 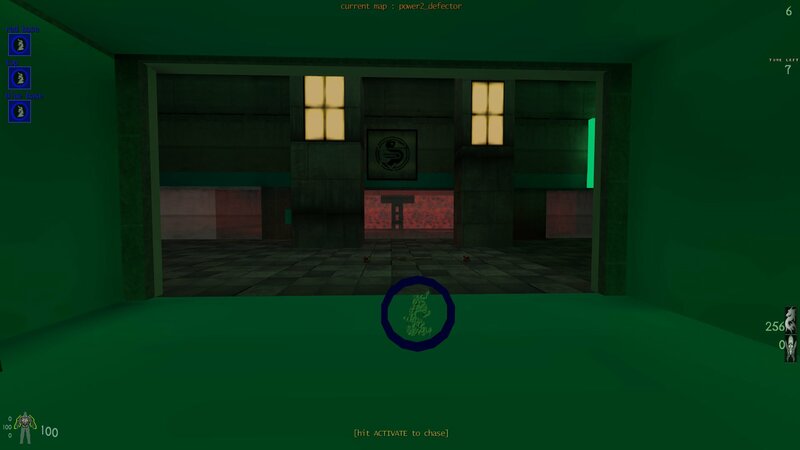 You can check out all of Captain Death's Kingpin Maps, Mods and Utilities by visiting his site here. 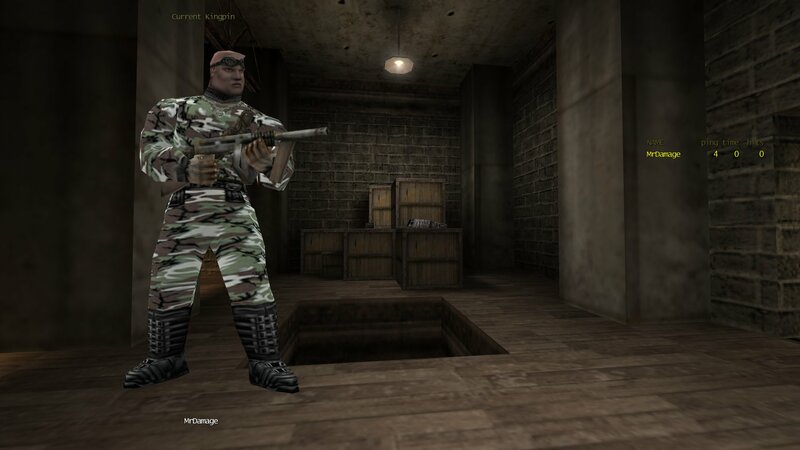 A camouflaged soldier skin for the Thug model by ^Digital. 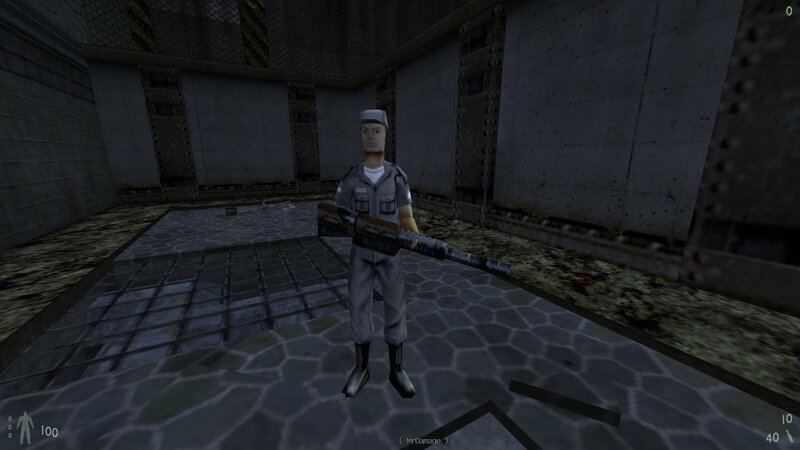 It's based on the camouflaged army guys in Half-Life. Now that Christmas is over it's back to the regular Kingpin games. Date : Thursday 4th January. 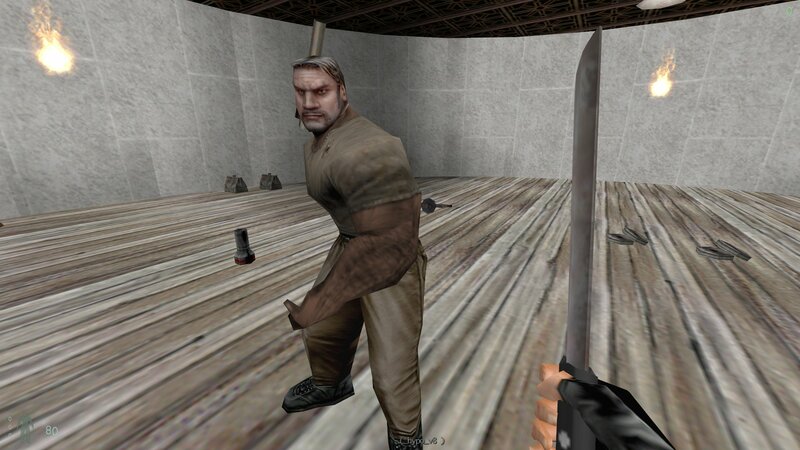 Hypov8 is currently working on a new custom player model for Kingpin ported from another game. It should be finished soon. 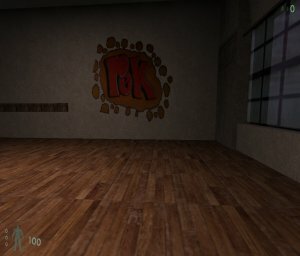 I recently found the Windows server files for the old KP2 mod. The mod was never taken out of beta but it does work, and we host the client files, so I have uploaded the Windows server files. 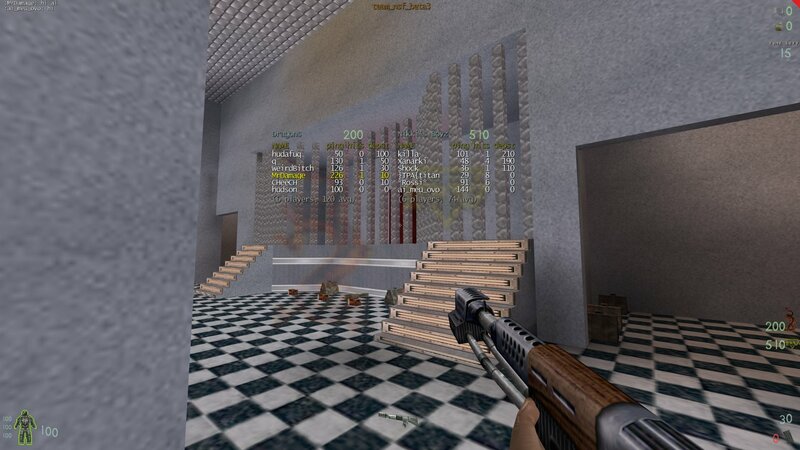 For those of you who don't know the KP2 mod is was popular around 2003-2007. 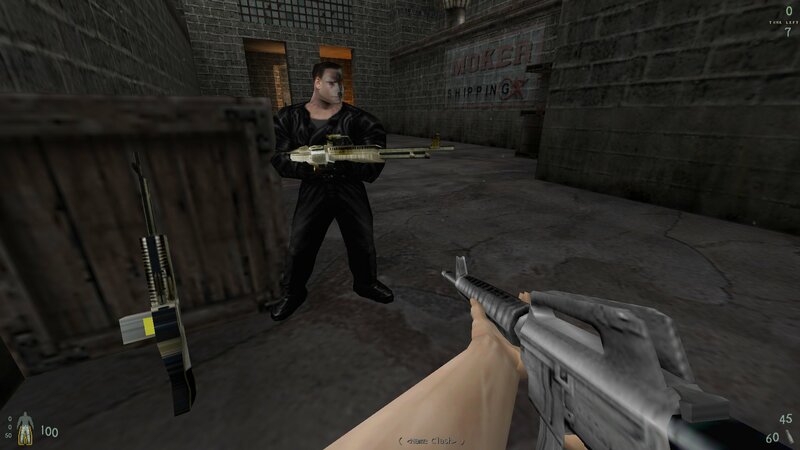 The KP2 mod features new weapons, weather effects, breakable objects, and single player props in the multiplayer environment. You can download the KP2 Windows Server Files from here. 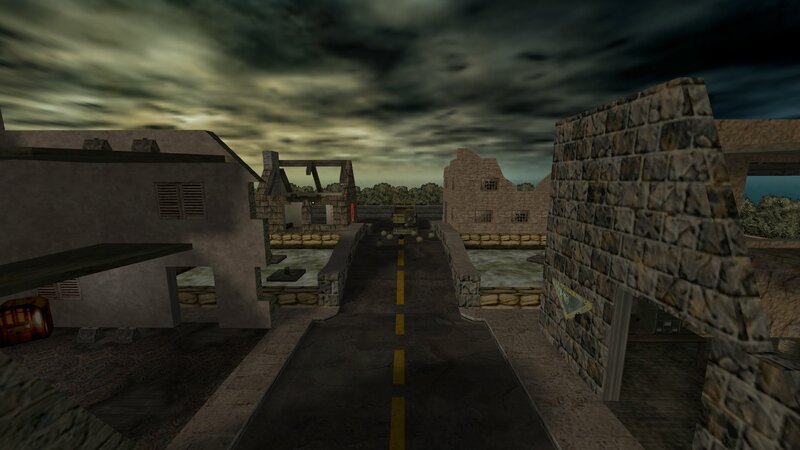 I have also updated the KP2 Mappack and it now includes all the maps that were made for the mod that featured, props, rats, dogs, weather etc. Btw any death match maps will work with the mod. You can download the KP2 Mappack from here. If you want to join a KP2 Mod server you need client files. You can download the required KP2 client files from here. Just unzip/extract all files to your Kingpin folder and they will be placed i nthe corect locations (kingpin/kp2). Captain Death has now released v1.01 of the Xmas Capture the Flag mod server files for both Windows and linux. 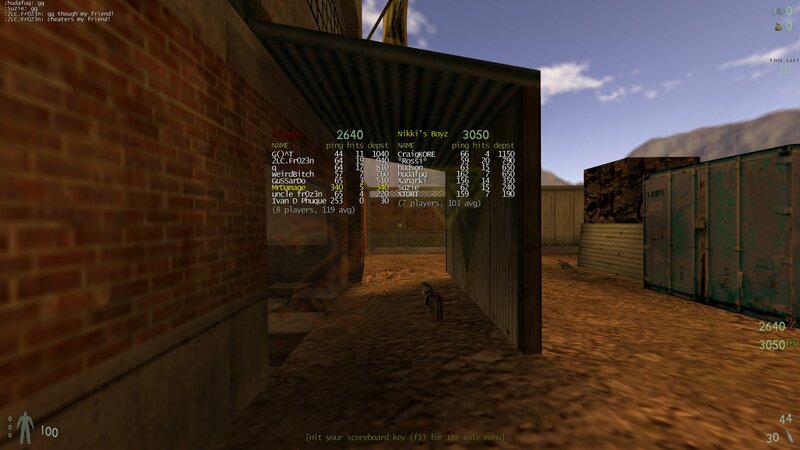 You can download the v1.1 Xmas CTF Server files from here. 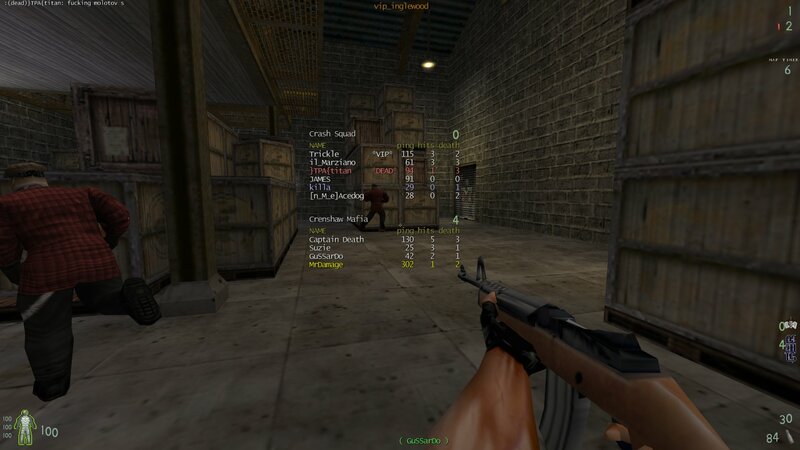 To run a server you also need the Xmas CTF client files which contain all the Xmas CTF maps. 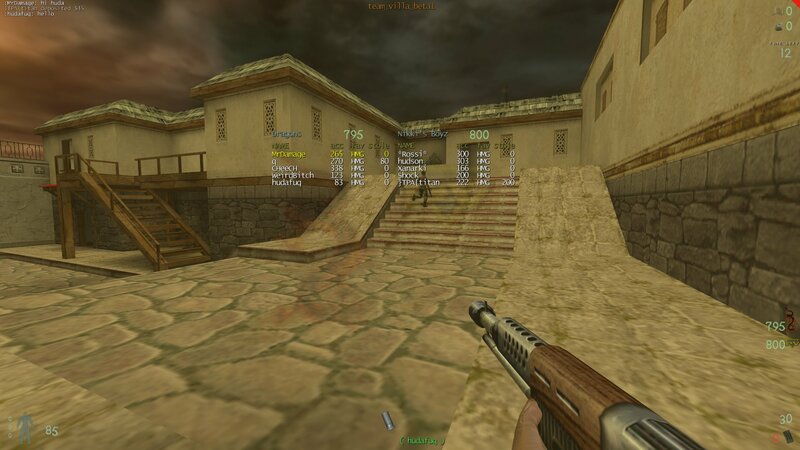 You can download the Xmas CTF Client files from here.